Leading lines within a photograph help to draw the viewer’s attention to a specific element, or to tell a story as a journey. 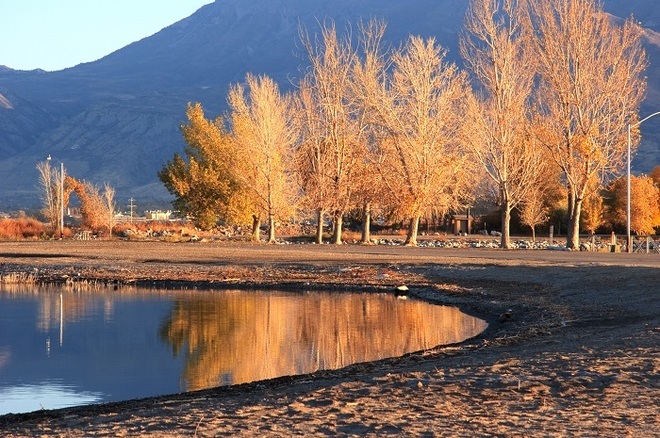 They are often used to strengthen landscape photographs. The photographer wants to connect the foreground to the centre of the image, and an open gate or a winding track will have just this effect. They are also useful in connecting separate elements within the frame, thereby generating shapes. Many photographers use leading lines emerging from the left-hand side of the image. We read from left to right and this helps us to appreciate the image. In the photo above, Swapnali Mathkar has used the water’s edge to take us into the centre of the photograph, and to emphasise the power of the reflected autumn colours. The leading lines from the right hand side of an image also help to increase its impact. 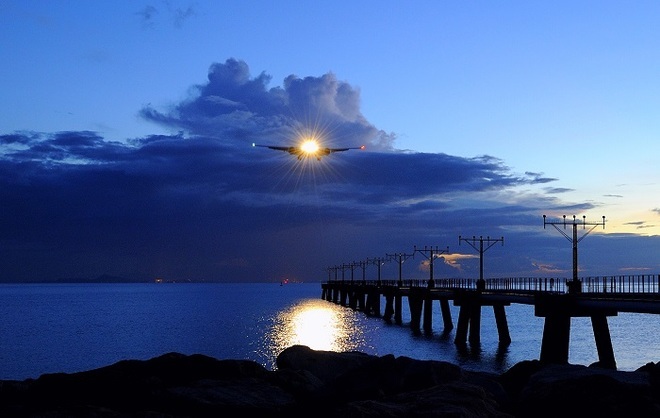 In Leka Huie’s photo of an aircraft landing, a pier emerges from the bottom right-hand corner of the image. It takes our eye into the centre of the frame and highlights the link between the aircraft’s light and its reflection on the water. Her choice of viewpoint helped her to draw attention to the most important elements within the image.